Sports are fun. To play, to watch, to follow or to discuss, sports are an integral part of our daily entertainment. They also offer those hilarious, spontaneous moments that take on a life of their own, especially over the years. 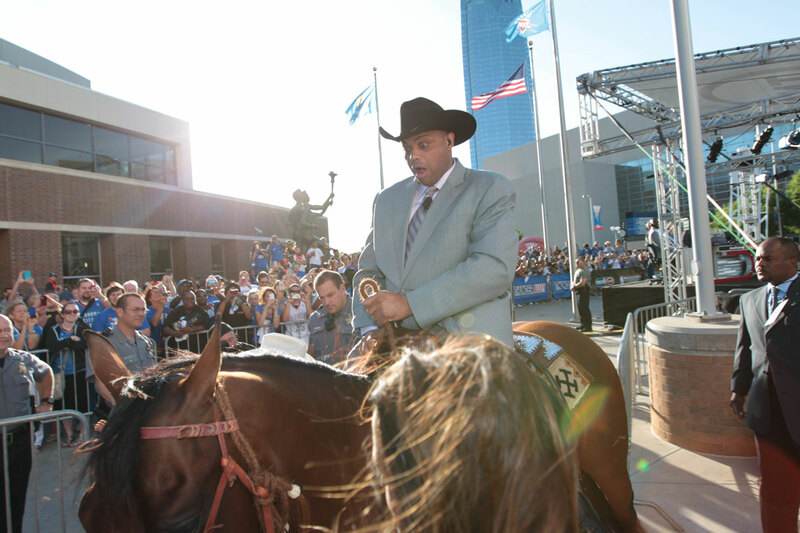 Charles Barkley made his first trip to Oklahoma City a memorable one, riding a horse down a red carpet and on to the set of the TNT pre-game show in Thunder Alley. “Chuck is in the house!,” he yelled out. 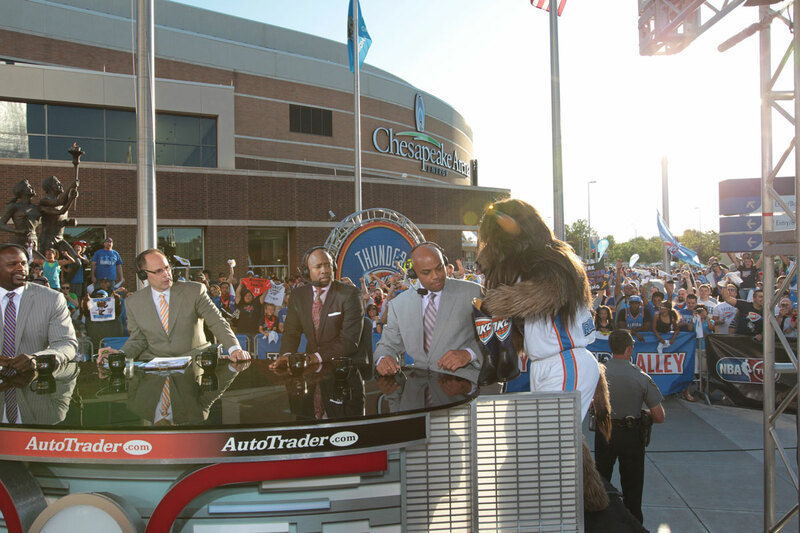 The popular TNT analyst frequently criticized Oklahoma City over the years despite never having been to the city. That all changed on May 31, 2012. 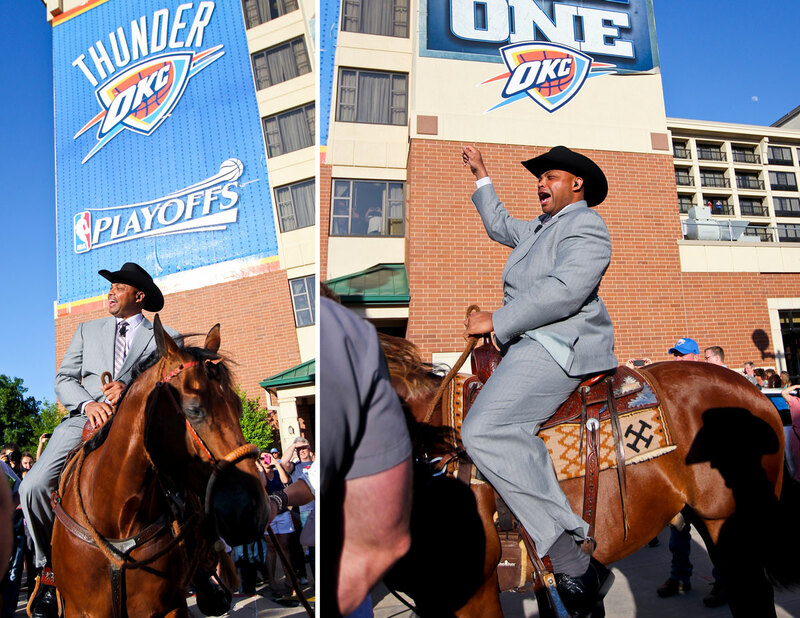 The scene was part of the network’s build up for Game 3 of the NBA Western Conference Finals between the Thunder and the San Antonio Spurs. Barkley later was presented with a pair of ostrich-soled, alligator skin boots, which he was wearing at halftime. 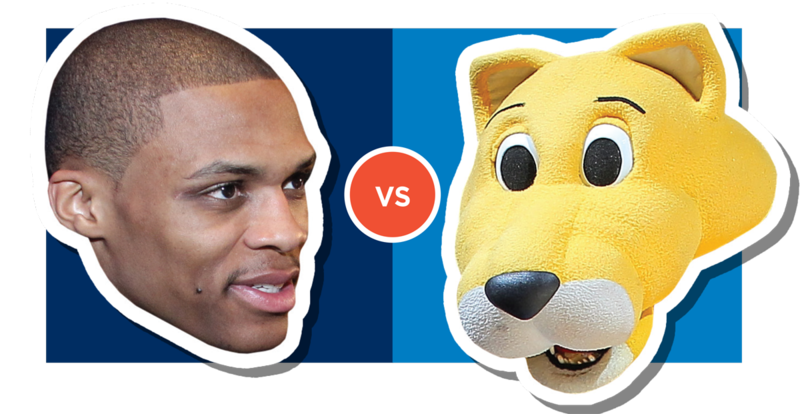 A mascot should never rile up an opposing player, definitely not a player of Russell Westbrook’s caliber. But that’s what happened – twice! – on Jan. 20, 2013, and Nuggets fans paid the price. Westbrook blocked the backwards half-court shot attempt of Rocky during a fourth-quarter timeout. 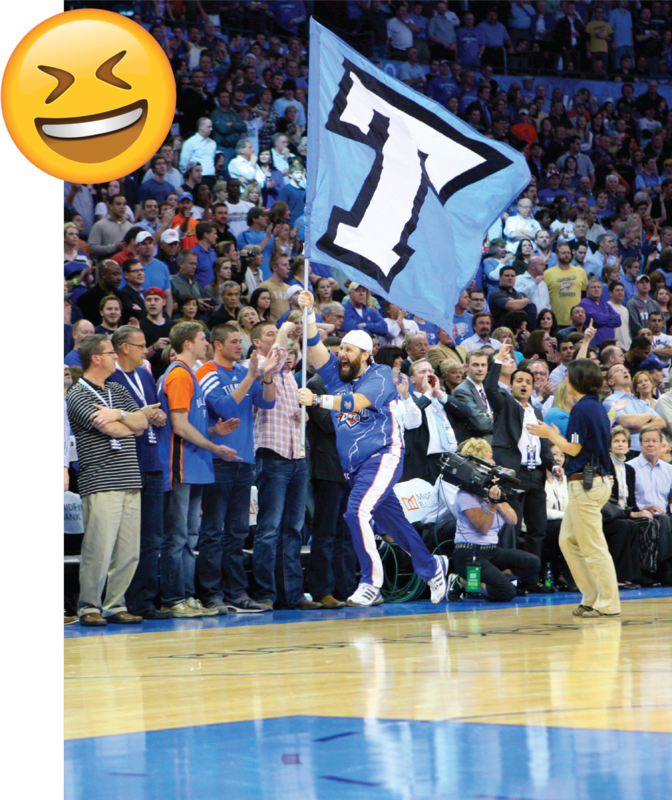 If the Nuggets’ popular mascot makes such a shot, fans get free queso. The final attempt appeared to be going in … before Westbrook snared it mid-air, prompting an eruption of boos. He wasn't done. Rocky made one more attempt during a subsequent timeout and again Westbrook interrupted the ball’s flight, this time heaving it into the stands and inciting even louder boos. Westbrook’s final line: 36 points, eight rebounds, nine assists … and, unofficially, two blocks. 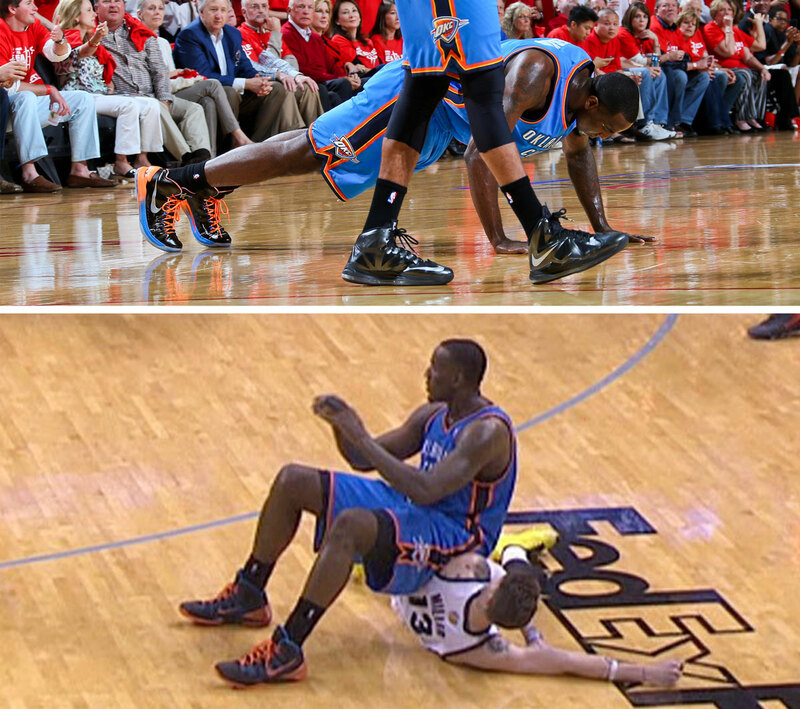 Kendrick Perkins brought an immediate toughness to the Thunder upon his arrival, no surprise given his reputation throughout the league. 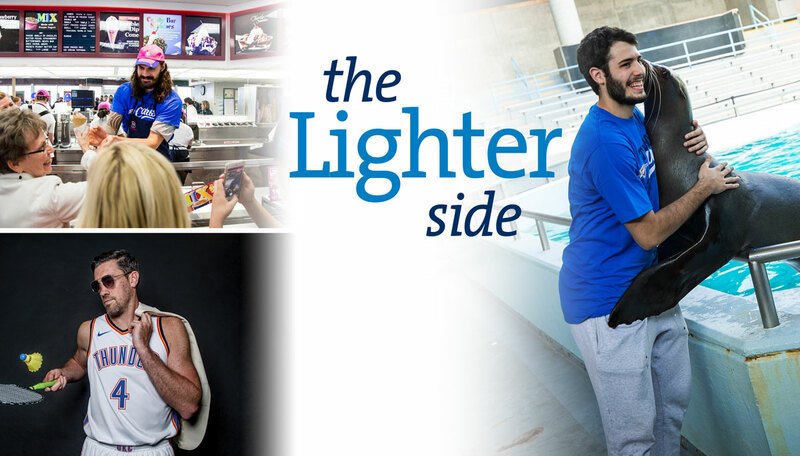 What was a surprise was a series of on-court moments that had the Internet buzzing – holding a shooting pose following the release of a jump shot in 2012, doing push-ups on court immediately following a dust-up with the Houston Rockets in the 2013 playoffs and, perhaps most famously, sitting on the Memphis Grizzlies’ Mike Miller following a loose ball scrum. “It was the fourth quarter in a close game in March 2012 and the first for my dad to come see me as a Storm Chaser. The ’Peake was as loud as I can remember and there I was, holding the ‘T’ flag, ready to take off." “I was told, ‘GO, GO, GO’ along with hand gestures waving me to start running and I was gone! I remember the crowd cheering as I ran across the court and the pure excitement for a few seconds before I turned the corner and the excitement turned to panic. When I stopped and turned around, expecting to see the other six Storm Chasers holding their flags, there was no one! I was afraid that the Storm Chaser behind me fell and everyone fell over each other. That was not the case." From chomping on giant turkey legs and roasted ears of corn to playing a variety of carnival games for prizes small and large, Thunder players immediately up the “fun” meter along the colorful midway each September. We don’t want to be a kiss-and-tell publication, but Thunder players visiting the Oklahoma City Zoo has become an annual spring tradition. 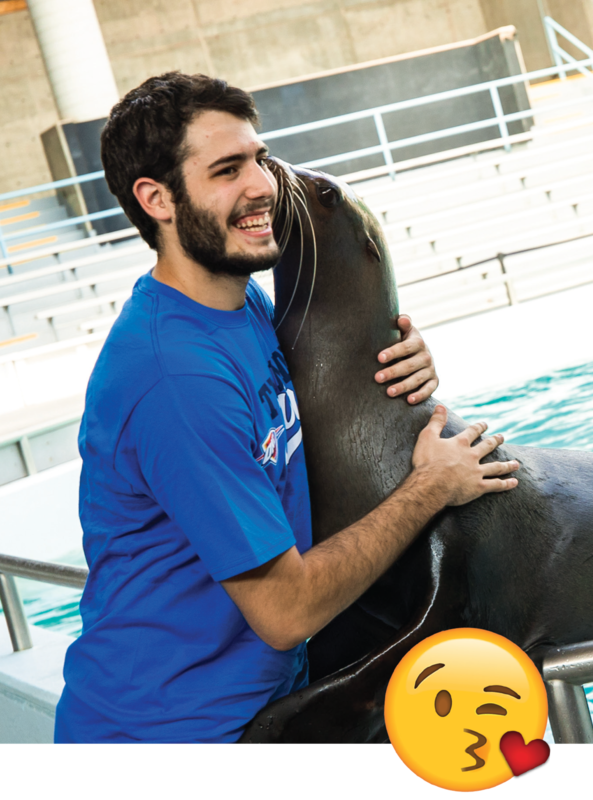 A popular stop is the sea lion exhibit, where players are met with wet hugs and kisses. 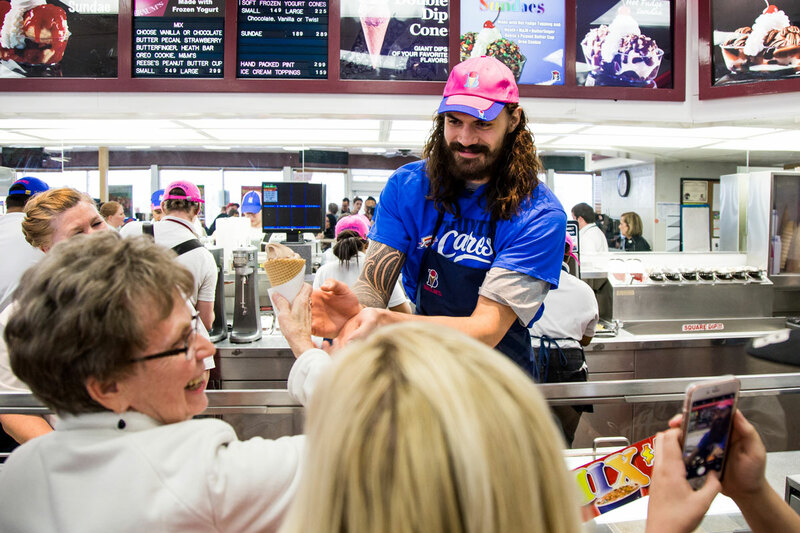 Imagine this: You stop at Braum’s to fill an ice cream craving and Steven Adams – yes, the Big Kiwi himself! – is scooping up orders. Or maybe you go through drive-through and Andre Roberson hands you your order. Life is good. 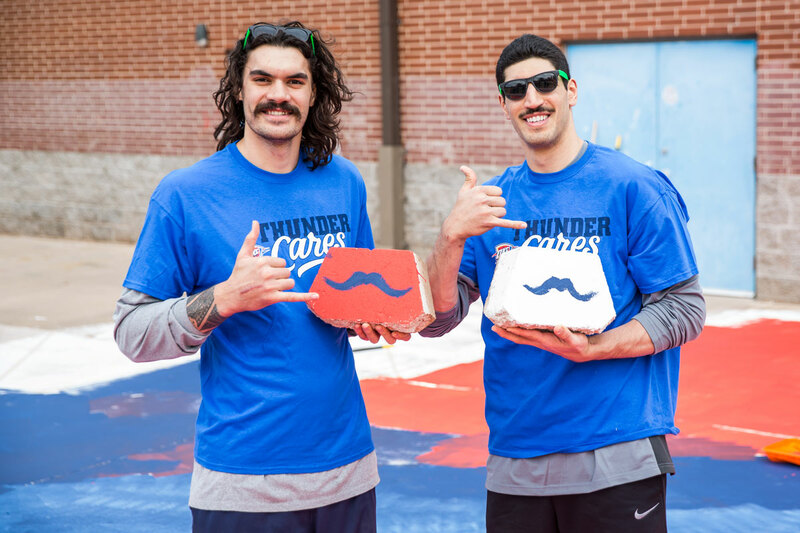 It started simple enough in 2015, when Steven Adams convinced Enes Kanter to join him in shaving their beards but keeping their mustaches. ‘Stache Brothers’ became an instant hit, prompting T-shirts, signs and hilarious videos. Media day places a lot of demands on the players. To help pass the time while navigating from station to station, a photo booth is set up behind the scenes. Players often jump at the opportunity to have some fun and show their style.